Behind the aquariums, there is another side to L’Aquàrium de Barcelona. A large team of highly-qualified professionals using the latest technology look after the wellbeing and health of over 11,000 sea creatures. 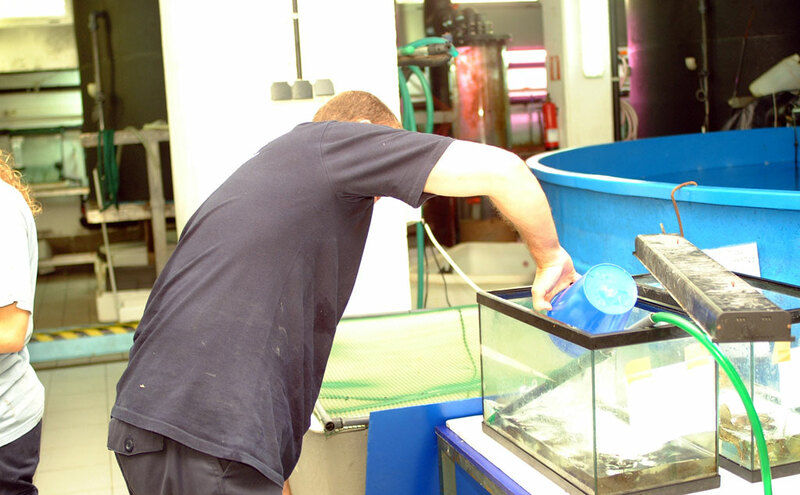 Temperature, salinity, water quality, lighting and the recreation of each ecosystem are painstakingly analysed to ensure that all aquarium inhabitants, some of which are especially difficult to keep in captivity, can be accommodated. 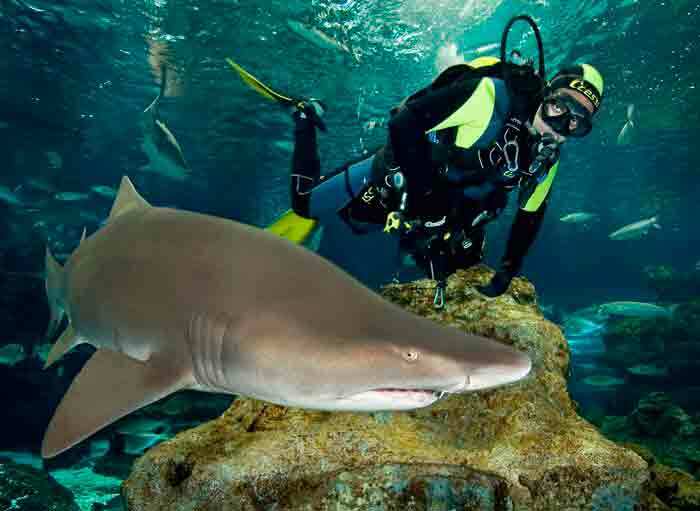 L’Aquàrium’s biologists have the great responsibility of looking after marine animals from over 450 different species, ranging from tiny invertebrates to penguins and sharks measuring more than 3 metres. It is not an easy task since each of the species that inhabits L’Aquàrium requires special attention, and in some cases, have to be treated with extreme delicacy. Since L’Aquàrium de Barcelona opened, research has been a major priority and, through this work, it has gained international recognition as a research centre. Particularly notable are the agreements L’Aquàrium has signed with various universities and research centres. 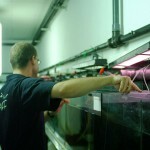 Water collection and purification: In order to fill the 21 aquariums, about 6 million litres of seawater are needed. 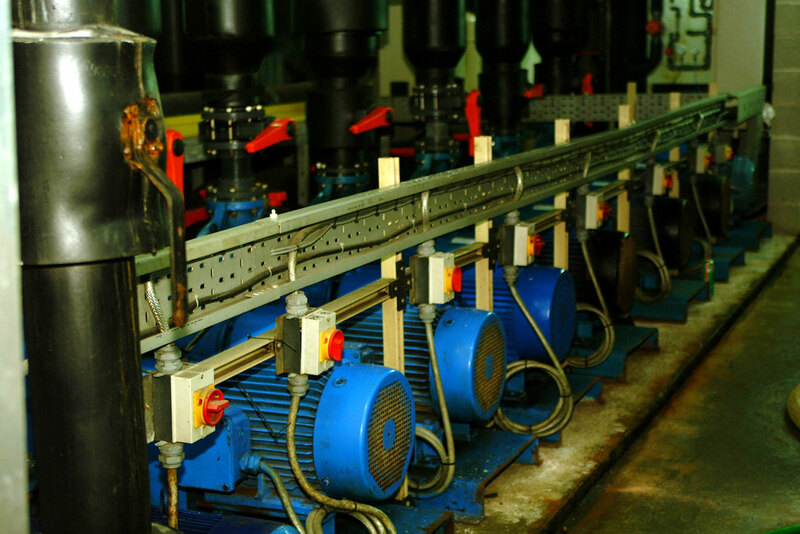 The water is collected from special wells in a controlled way to ensure a continuous flow, although L’Aquàrium also has a sophisticated purification system that operates in a semi-closed cycle, meaning that a continuous supply of water from outside is not necessary, since it can be treated and recycled through the facilities with a turnover time of about 1½ hours. Only a small amount of water from outside is supplied on a daily basis to compensate for evaporation and trace element loss. 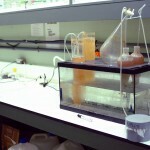 Purification and filtration are necessary for many reasons. 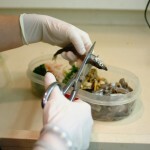 As leftover food and natural waste excreted by the organisms (containing high levels of ammonia) degrades biologically, secondary nitrite and nitrate compounds are formed, which are highly detrimental to the health of marine life and need to be removed by filtration and purification. The temperature is also controlled and the water sterilised, if necessary, with an ozone production system and ultraviolet light. 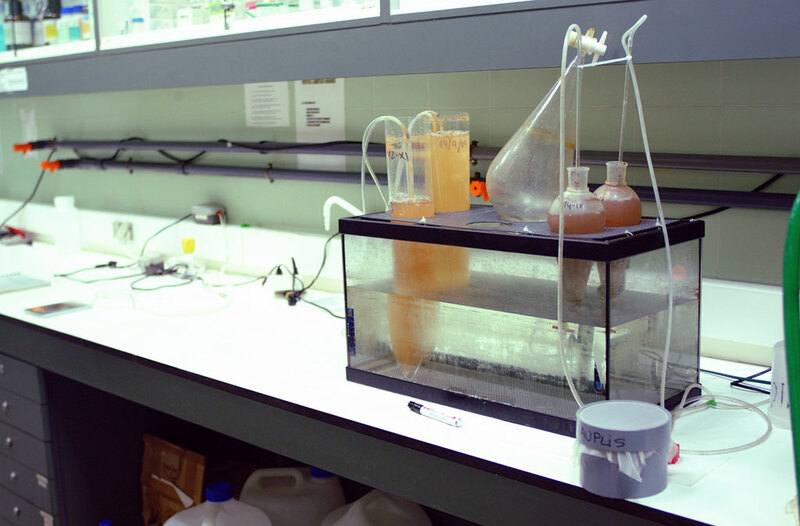 These systems, which are used in most aquariums around the world, remove undesirable bacteria, oxygenate the water and facilitate the flocculation of proteins prior to removal. 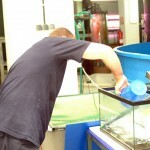 The final sterilisation of the water is necessary to prevent biological hazards when the water leaves L’Aquàrium. 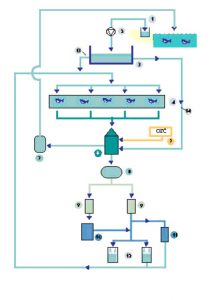 This flowchart shows the main elements of L’Aquàrium’s purification system. L’Aquàrium’s marine animals are generally carnivorous and to ensure they remain in good condition, they have to eat as well as possible. Their food is prepared on a daily basis and can include whole or chopped-up fish, crab, mussels, live plankton and plant and vitamin supplements. 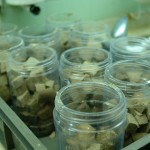 Every day, a team of professionals prepares 150 different meals to ensure the animals are adequately fed. 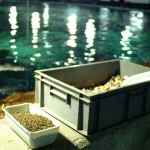 The food is usually thrown into the water so that the marine animals can go to the surface of the water to feed. 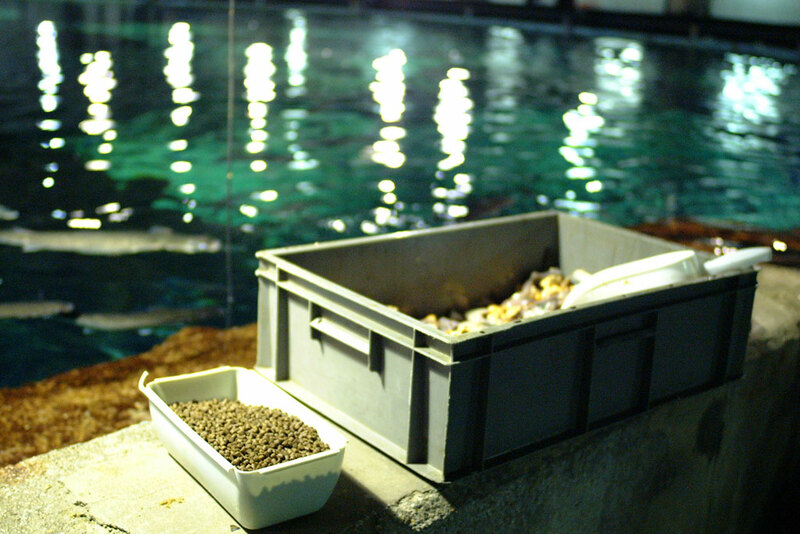 In the case of some species, especially those found on the bottom, such as rays, sharks and ocean sunfish, our team of divers has to enter the aquarium to give them the food directly to ensure they receive the correct amount of food. 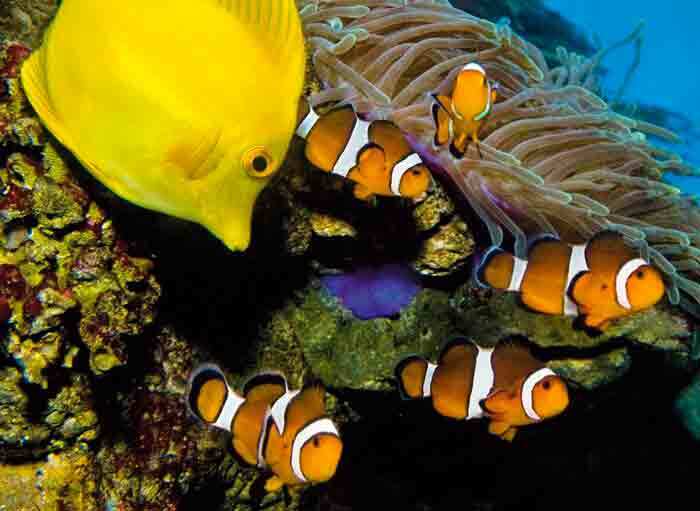 The marine animals in the Mediterranean aquariums eat three times a week and those in the tropical aquariums twice daily. This is due to the fact that the water in the Mediterranean aquarium is at a lower temperature, meaning that the fish require less food. 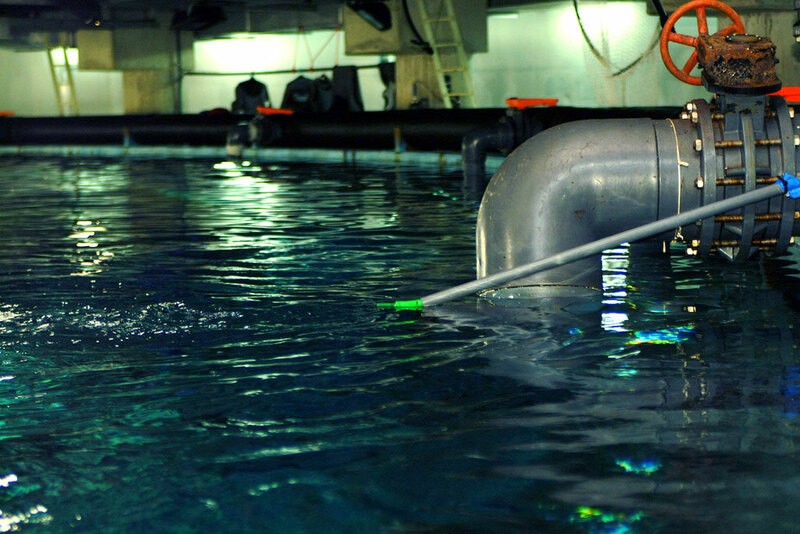 The water in the Mediterranean aquarium has a temperature of 18°, while the tropical water is maintained at 25°-26°. All organisms that arrive at L’Aquàrium de Barcelona need to acclimatise to their new environment before being placed in the exhibition tank. It is necessary to ensure that they can adapt to a new diet and that they are large enough to not be eaten by other marine animals. 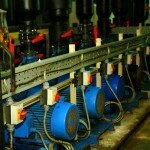 To do so, L’Aquàrium has a quarantine room consisting of 48 tanks to enable them to be kept in isolation. 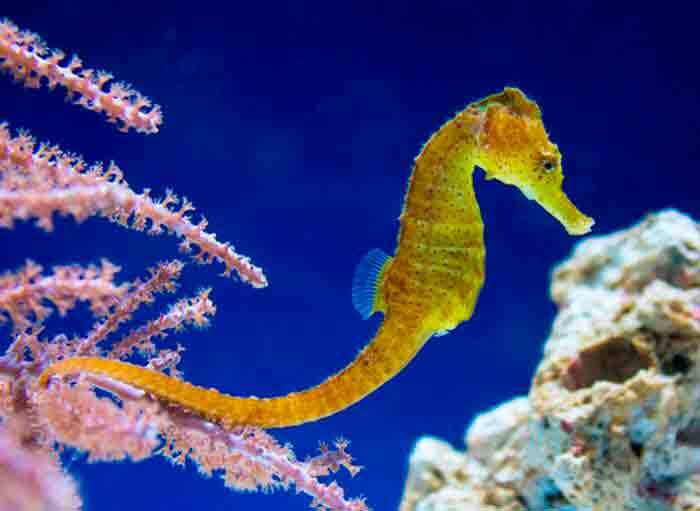 This initial stay helps to relieve the stress caused by transportation and control potential diseases and parasites that they could have and pass on to other marine animals. The quarantine room also serves as a hospital in which sick or injured animals can convalesce and receive treatment. L’Aquàrium is particularly noted for its interest in breeding its marine animals and, to this end, the quarantine room plays a key role. It can be used as a form of “maternity ward” for the culmination of the breeding process. 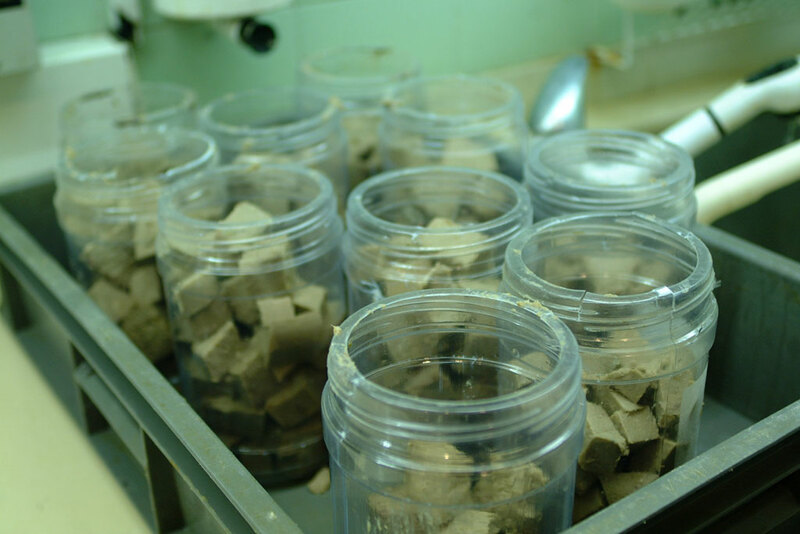 In some of its small aquariums, eggs are deposited and the young cared for until they fulfil the requirements to be transferred to the large aquariums. 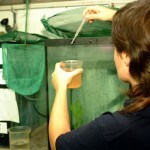 Since L’Aquàrium de Barcelona opened in 1995, more than 20,000 marine animals have passed through the quarantine room. 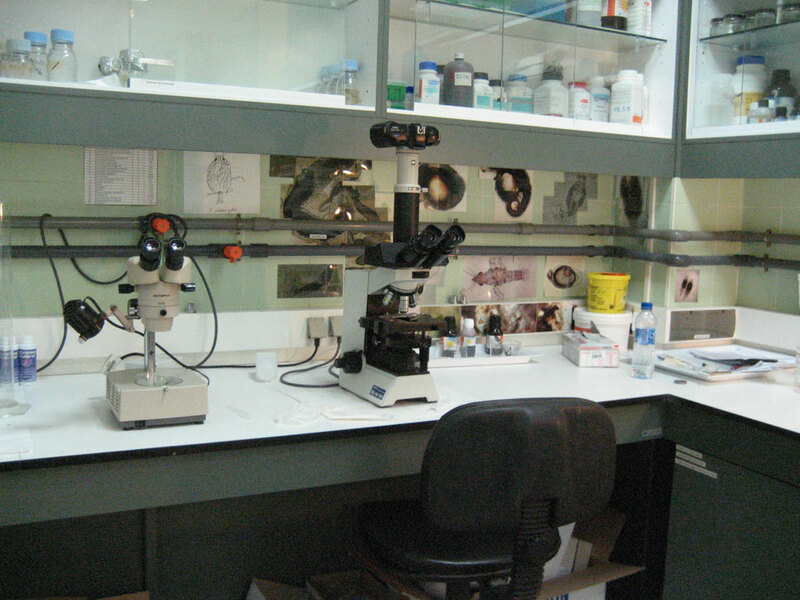 In the laboratory, the water used in all of the tanks in the public and technical areas is analysed on a daily basis. 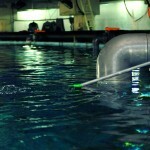 The aim is to ensure that the water always meets the optimum physicochemical conditions for animal life. 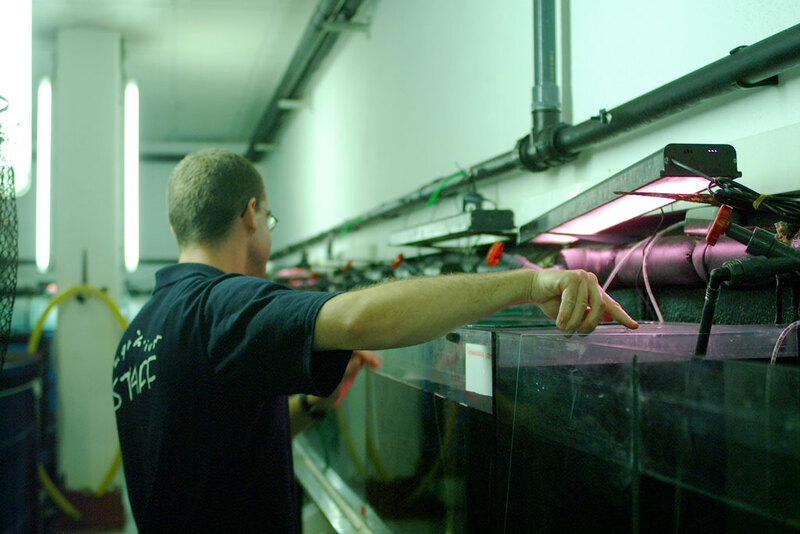 To perform this task, the water is checked daily, even after already passing through L’Aquàrium de Barcelona’s cutting-edge filtration system. 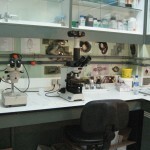 The laboratory is also responsible for producing the plankton that is necessary to feed certain species and the young of others. The plankton can be of animal (zooplankton) or plant (phytoplankton) origin. 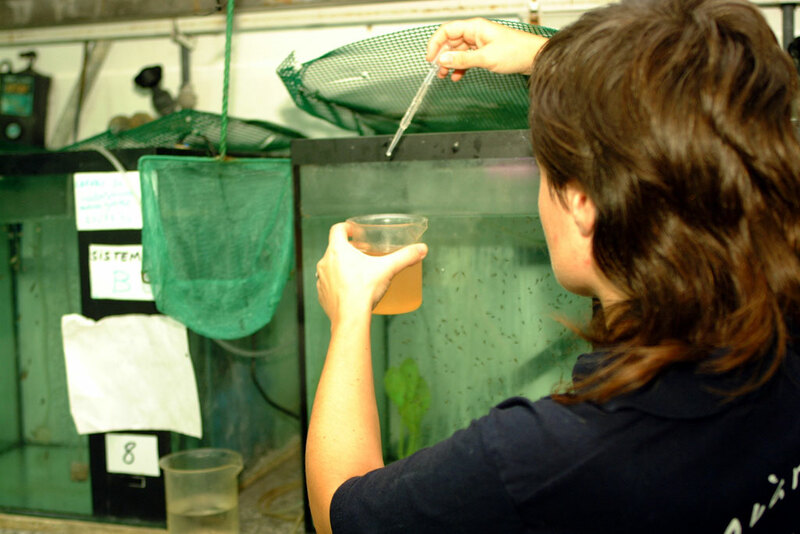 Another of the laboratory’s tasks is to control disease, which involves studying the type of disorders that affect fish and developing appropriate treatments to cure them. To do so, antibiogram tests are carried out to establish which antibiotics are effective in combating a disease. 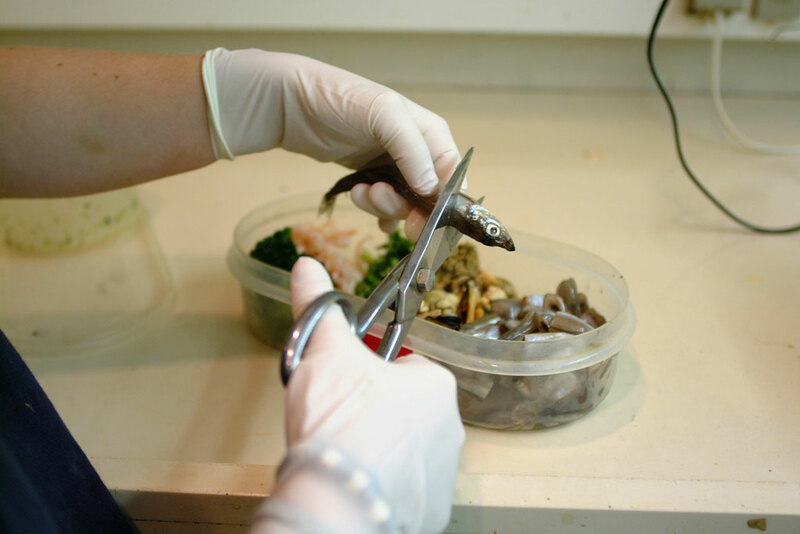 The work also involves performing post-mortem examinations to determine possible causes of death of fish and to prevent their reoccurrence.